My sweeties, I have to ask you something serious today: are you just as much in love with the taste of ripe blackberries as I am? 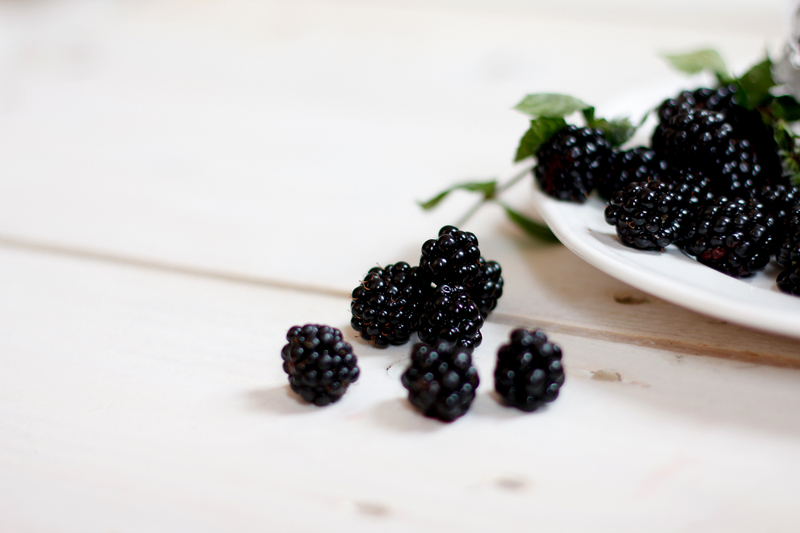 For me, when the end of August is near and the blackberries in my parents’ garden begin to turn from red into a dark, rich black, I can hardly contain myself to be sneaking around the bush to secretly eat all the little berries myself. But because I’m not that selfish, I have thought about a way to share the blackberry goodness with all my beloved ones. The easiest way? 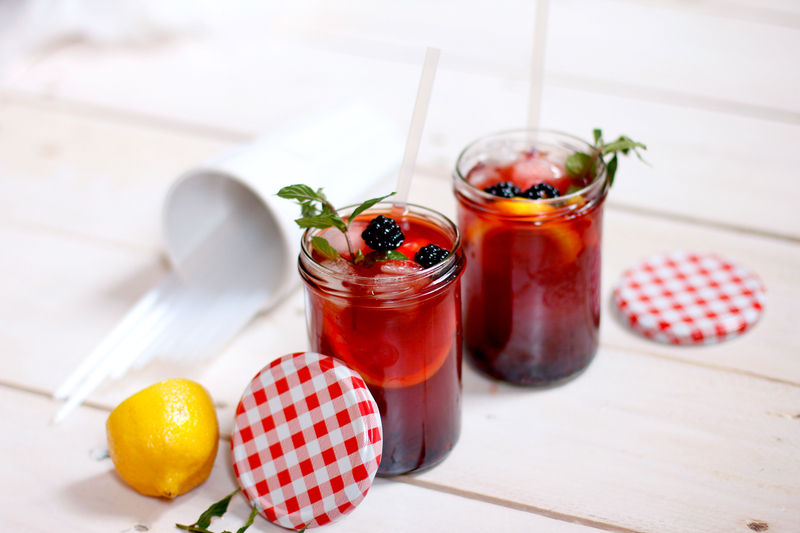 Make some iced tea with blackberries! But they’re also a perfect ingredient for salads and also: dessert! 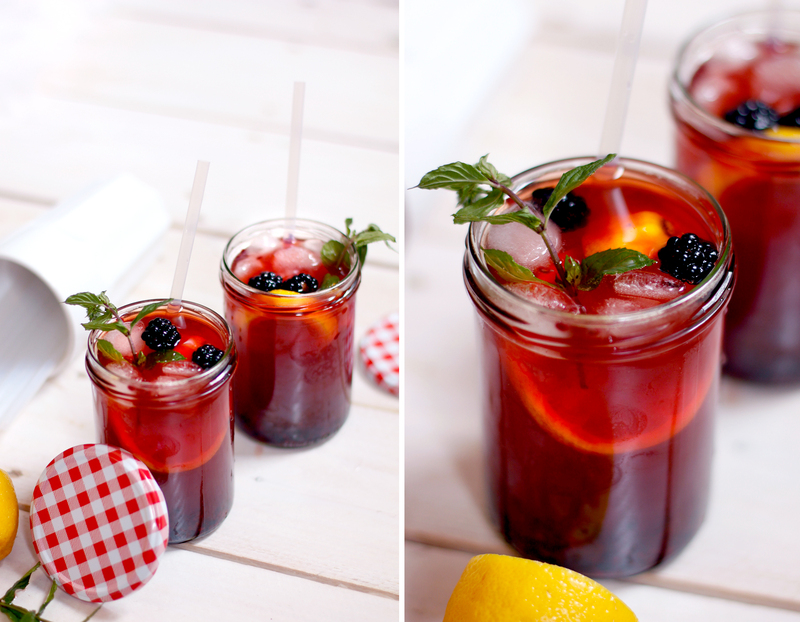 And that is what you’re gonna find in this article today: a recipe for blackberry iced tea and two of my favourite sweet but vegan desserts! Hope you enjoy these, let me know! 2. Add juice of half a lemon, cut the other half of the lemon in slices and put in the glasses. 3. Mash about 10 blackberries with a fork and fill half of it into each glass. 4. Sweeten with the sweetener of your choice. I used agave syrup. 5. Add enough ice cubes to fill the glasses to the brim. 6. Stir well. 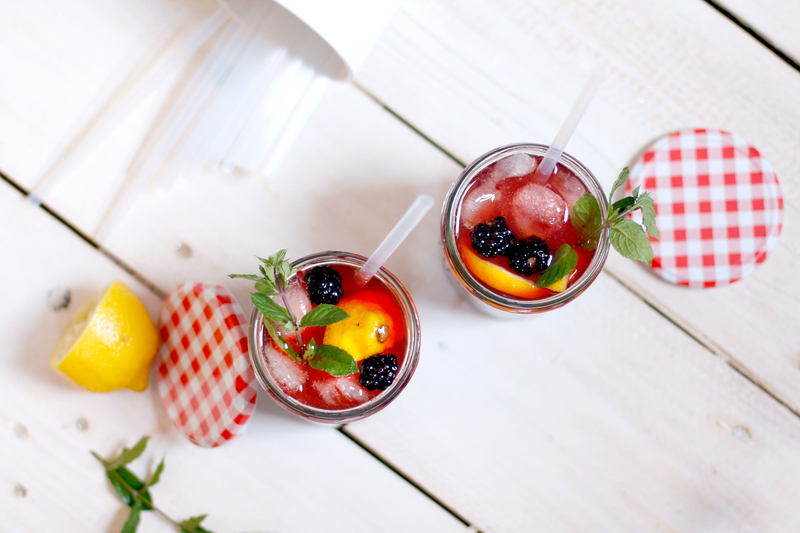 Decorate with the leftover blackberries and some fresh mint. 1. Mix dark chocolate, coconut oil and margarine and melt it a bath of hot water. 2. Mix all the dry ingredients in a larger bowl. 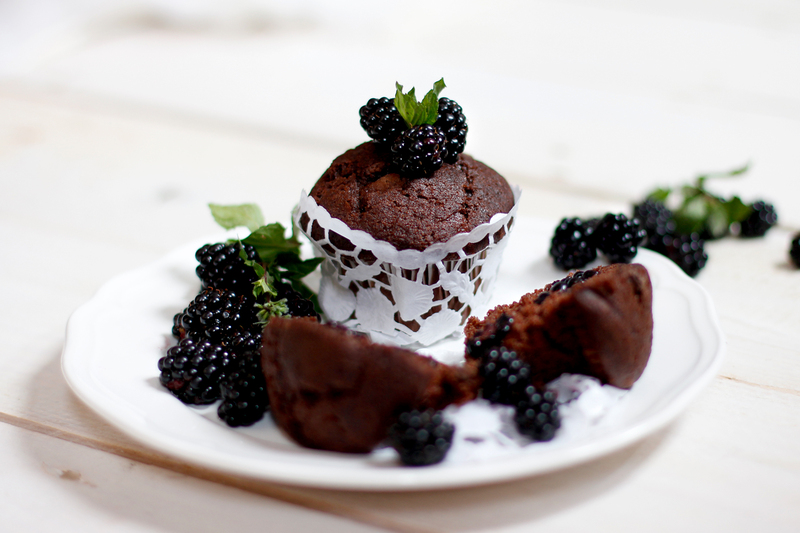 You may add cane sugar or agave syrup for a sweeter taste in your muffins. 3. Mix the melted chocolate with the dry ingredients and stir it while slowly adding the almond milk and water. At the end, add about 10 to 15 blackberries to your dough. 4. Fill the dough into muffin cups and put it in the oven at 175 degrees circulating air and bake for about 20 minutes. 5. 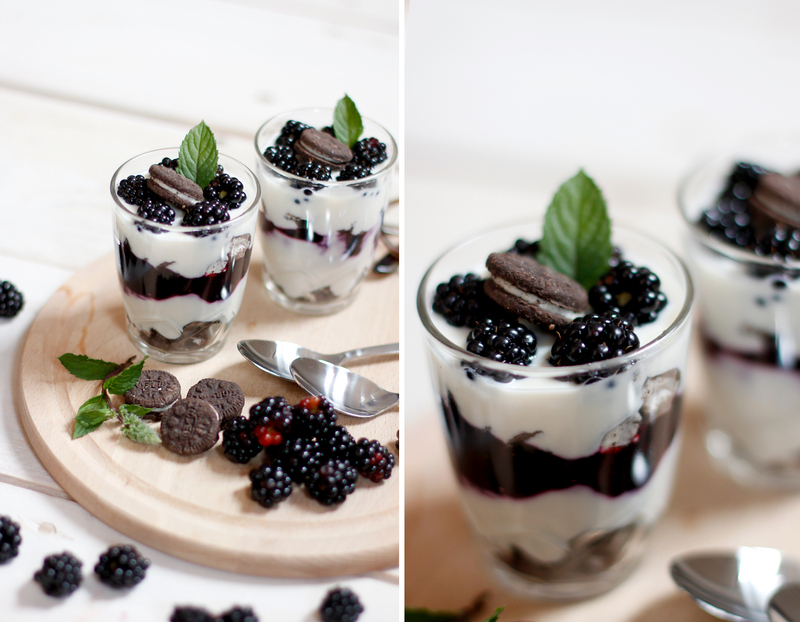 Decorate with blackberries as you like. 1. Crumble about 4 mini Oreo cookies for each glass and place the crumble at the bottom. 2. Add a layer of soy yoghurt on top of the cookies. 3. Add a layer of blackberry marmalade and some fresh blackberries. 4. 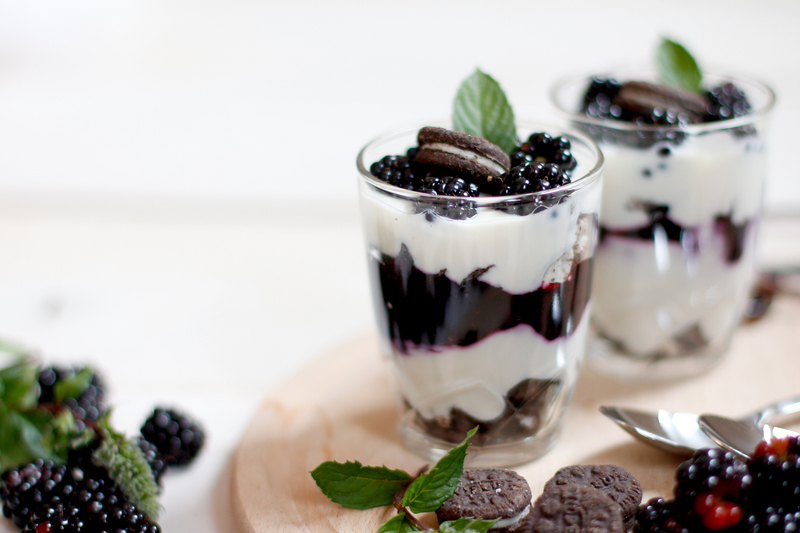 Add another layer of crumbled oreos in each glass. 6. 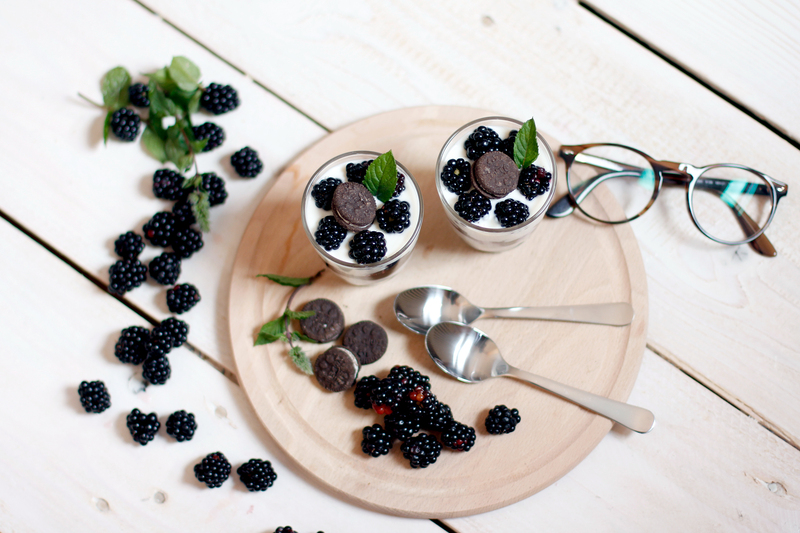 Decorate with blackberries, Oreos and fresh mint leaves. Ich liebe Beeren! Egal ab Himbeeren oder Brombeeren. Die Muffins habe ich mich gleich abgespeichert. Das muss ich unbedingt mal probieren! I’ll totally test the layer dessert! 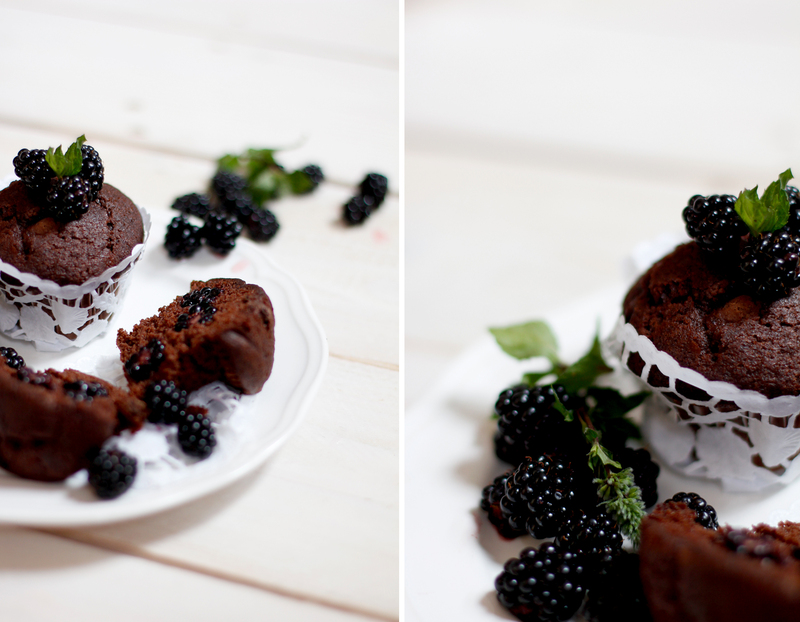 Thank you for sharing these recipes and beautiful photos! 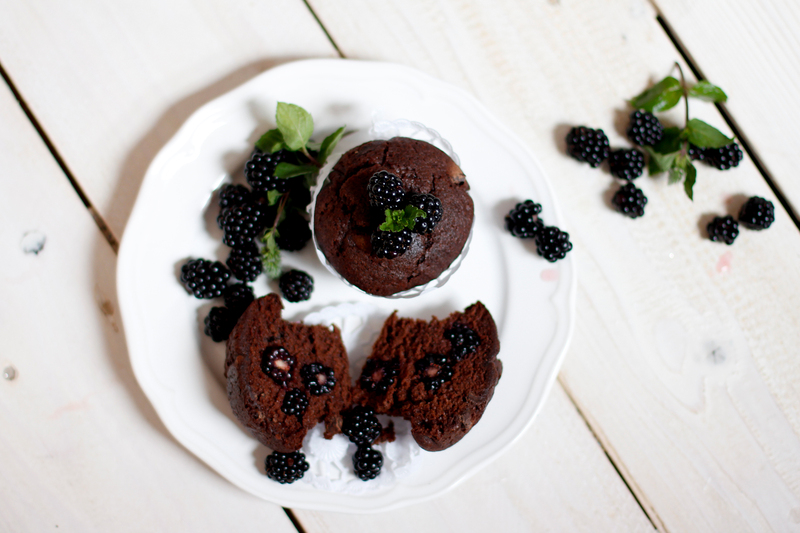 Beeren sind einfach immer der Knaller und das Dessert sowie die Muffins sehen mega gut aus! Ich habe mir die Muffins und das Schichtdessert schon notiert, am Wochenende wird beides schon ausprobiert! Das sieht alles so lecker aus! Ich gehe gleich heute einkaufen :D Leider habe ich keinen Brombeerstrauch in der Nähe, da muss ich dann wohl die teuren Beeren aus dem Supermakrt nehmen. Aber egal, ich liebe Brombeeren auch wirklich sehr und freue mich über die Rezepte. 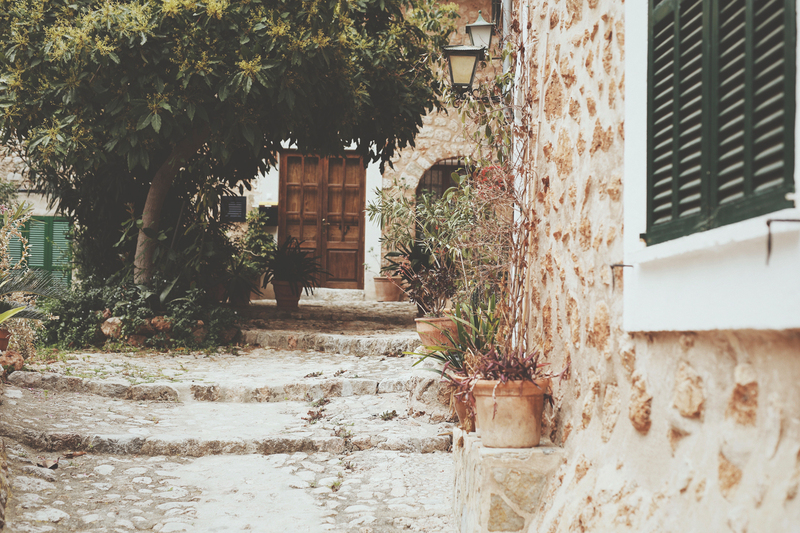 Ich finde es toll, dass dein Blog so abwechslungsreich ist! Die Rezepte sind eine tolle Bereicherung. mmmh…eines leckerer als das andere! Sieht so super lecker aus!! !